Send an SMS or email to your customers with a URL that will prefill reference and payment amount details. Combine with our Outbound SMS and Web Payment services for a fully branded and integrated solution. 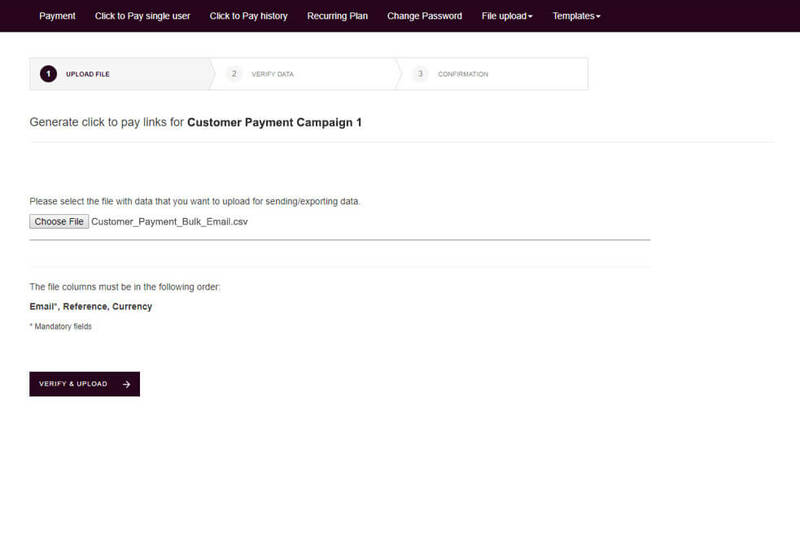 Increase payment conversion with Click-to-Pay, producing a personalised SMS or email with a unique URL link for each recipient. 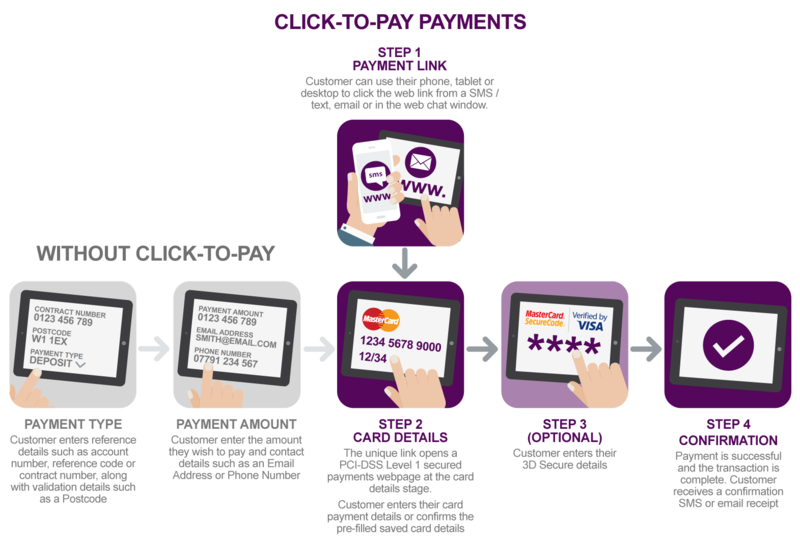 This pay by link service launches a mobile friendly payment web page with as much or as little customer information pre-filled required, allowing them to confirm payment details and complete the transaction. A customer can enter new card details or use a previously stored card, making it easy for a customer to complete the payment process. No need to enter a reference number or payment amount, just a payment method. An agent is on site with a customer and has just completed a purchase. The agent inputs a deposit or purchase details, including the customer’s phone number or email address who then receives an SMS or email linking to a fully branded secure web payments page. The customer can then complete the payment in a PCI compliant manner on their own device and the sales agent doesn’t see or hear any card sensitive details. An enforcement officer is on site with the debtor arranging a payment. The officer enters the case details (including any payment plan arrangements), keys in the debtor’s phone number or email address to send an SMS or email that goes to a fully branded secure web payments page. The debtor can complete payment in a PCI compliant manner on their own device. The enforcement officer doesn’t see or hear any sensitive card details. Combine Click-to-Pay with our Outbound Services to send SMS or email messages to a customer data list. 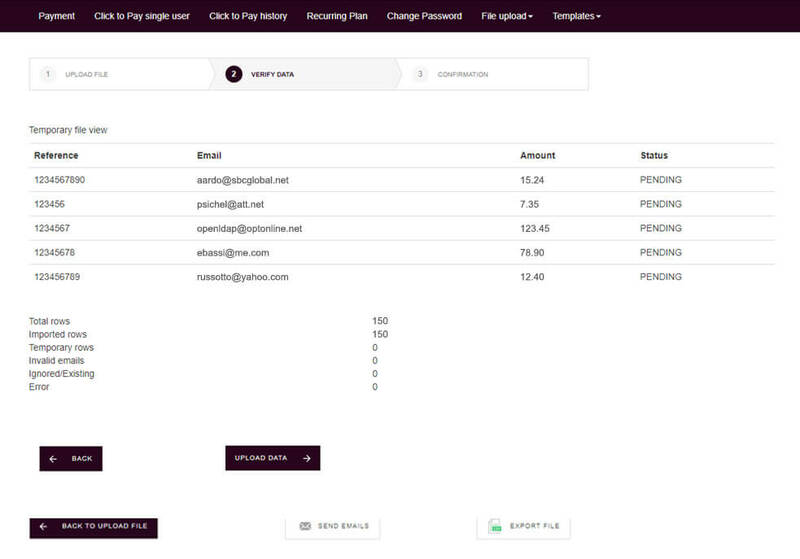 This generates a unique URL for each recipient that takes them to a web payments page with reference and payment amounts pre-filled. All they need to do is confirm a payment method. You can edit the message content, customise the dynamic fields such as Name, Company Name and Order Reference details and dispatch an SMS or email quickly and easily. 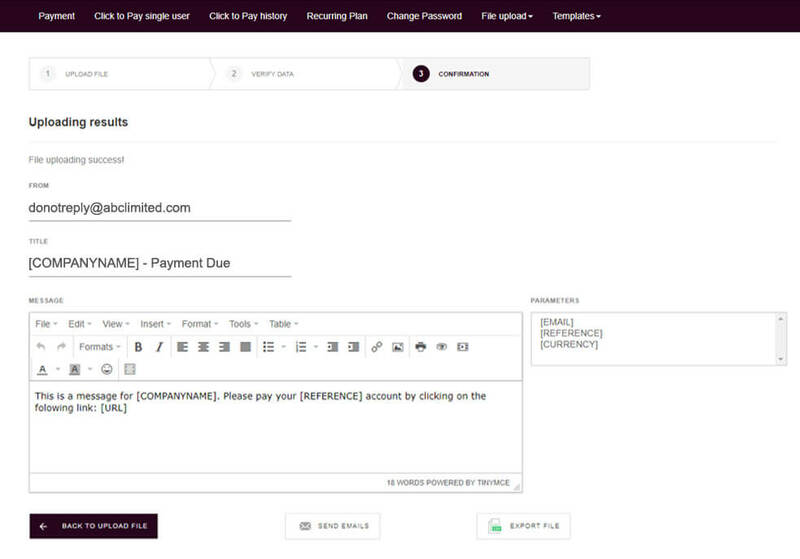 We’d be happy to show you our Click-to-Pay solution in action with a one-to-one on-screen demonstration from a Outbound expert.